Tired of having your neighbor right on top of you? 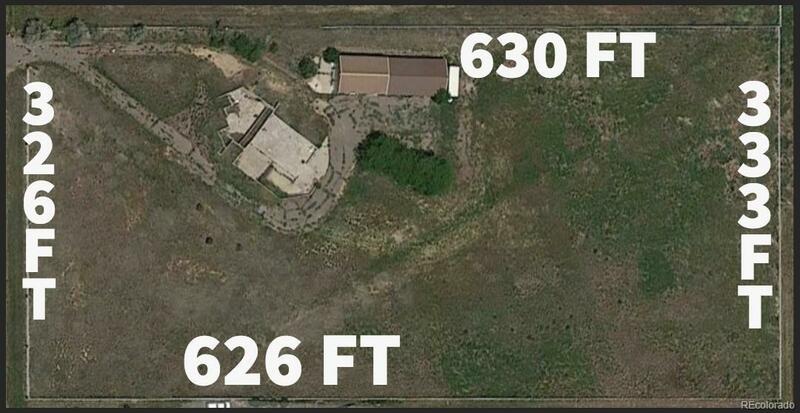 Build your custom dream home on 4.45 acres in Broomfield County. Need plenty of room for all of your toys? Looking for a horse property just 30 minutes from downtown? Horse boarding business? This property has it all, including a view of the mountains. Minutes to I-25 and the E-470. Less than 10 minute drive to Orchard Town Center, or the new Denver Premium Outlets. Also an opportunity for a builder to divide the acreage and build up to 4 homes with a 1 acre lot minimum. With the Denver metro area growing on a daily basis and urban sprawl seemingly connecting us from Colorado Springs to Fort Collins, the one thing that we can't reproduce is land close to Denver! !Garage on property is 30 feet by 100 feet. Has three 9 wide by 10 tall doors on the west side. 10 x 8, 10 x 12 and 9 x 8 doors and the south along with 2 standard entries and a 20 x 8 door on the east.